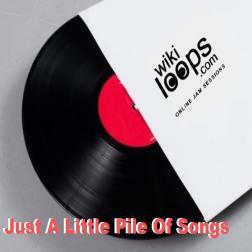 Just A Little Pile Of Songs. Making Wonderful Music With Friends is the best feeling I can get! So many wonderful musicians on this album. Peter creates joyous compositions and arrangements and his mixes are Excellent. I am honored to be on the same album with these Fantastic musicians! A wonderful collection of a friend and a beautiful musician whom I admire sound care and musical vision. I'm glad to be here with you Peter!